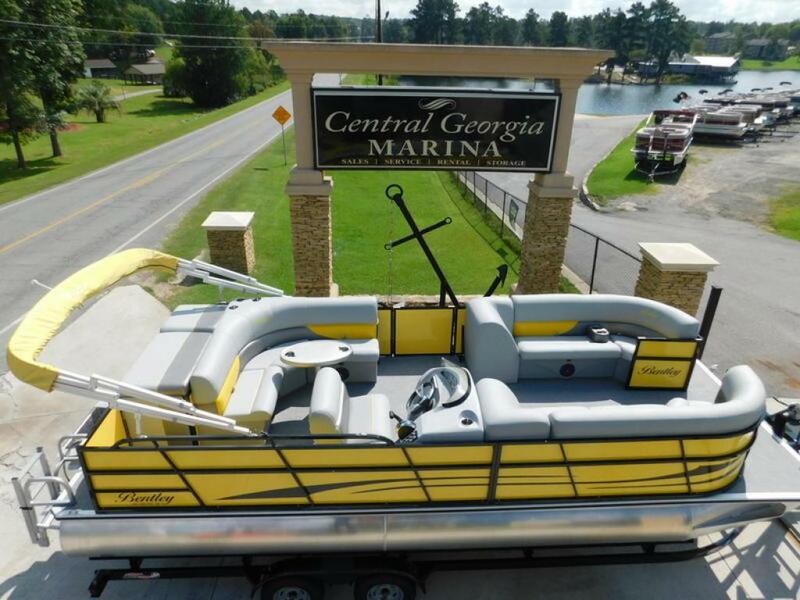 This dealer has 81 boats listed on boatcrazy.com. Bentley 240 cruise 24' pontoon. Mercury 115 HP 4 stroke motor. Payments as low as $237 per month with approved credit. 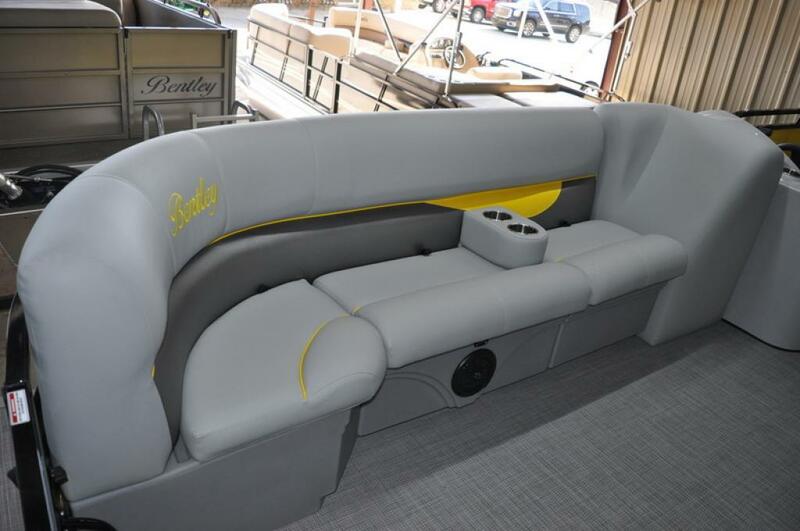 The standard features of the Bentley pontoon are as follows: A 12' bimini top which is protected by a BENTLEY embroidered vinyl boot when not in use. 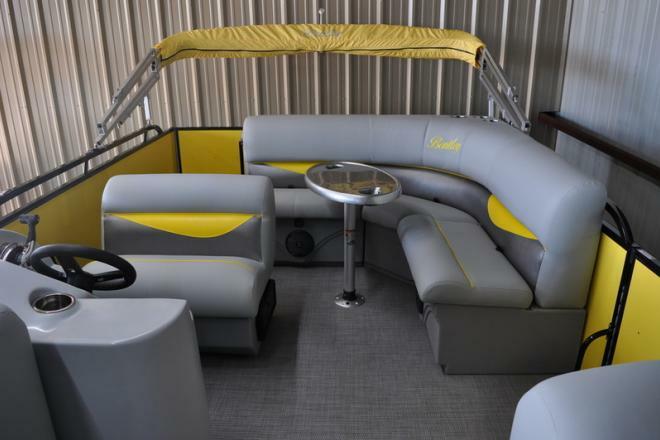 Comes with a 30" gate on the front of the boat along with one 30" side and 1 rear gate. 1 1/4" powder coated rails, giving a clean and sharp look. Built in 32 gallon gas tank. A table that stores away under the seat when not in use. 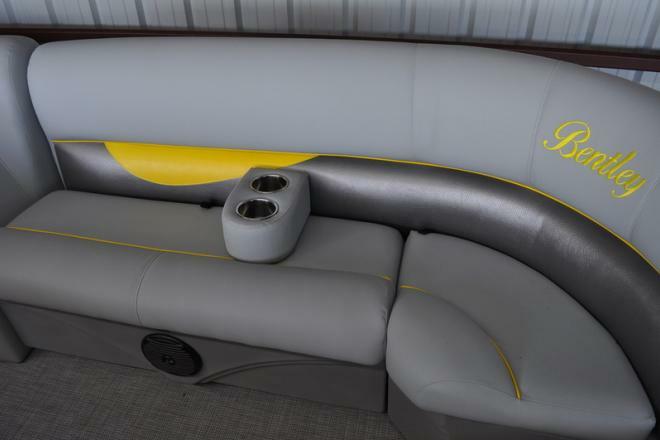 AM/FM bluetooth marine grade stereo with 4 speakers with MP3. 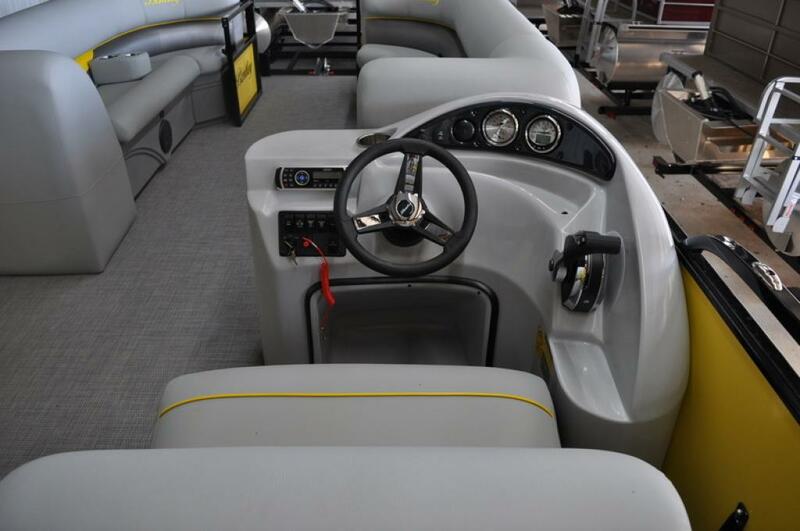 Fiberglass dash with gauges that include a tachometer, speedometer, voltage gauge and fuel gauge and 12 volt supply. The console has a wind deflector. 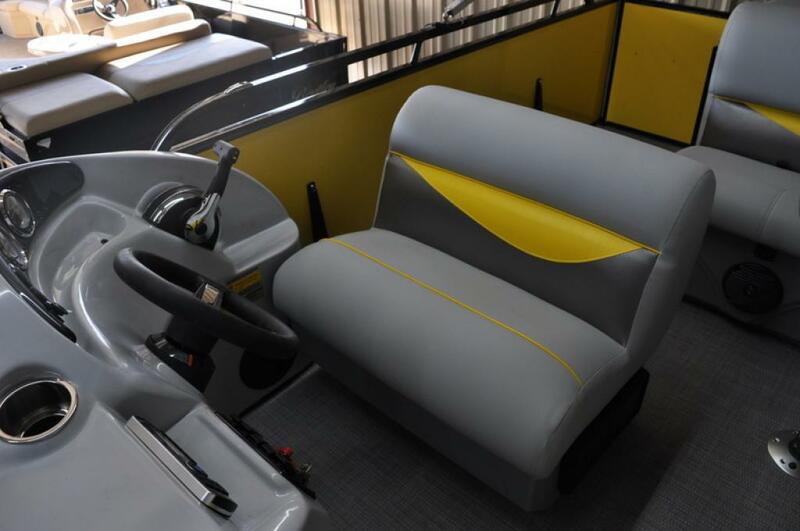 34oz vinyl seats that comes with a 5 year manufacturing warranty. 24oz pattern carpet is standard and also comes with a 5 year manufacturing warranty. Locking glove box under the driver's seat. Four courtesy lights on deck floor. Docking lights and navigational lights. ROTOCAST furniture bases, this robust synthetic material will never rust, rot or corrode. Storage under all seats. Swim ladder. 2lb foam density material in their seats. 25" diameter pontoons, provide extra stability in rough water and a super high boat capacity. The Transom, Flooring and Pontoons call come with a lifetime manufacturers warranty. 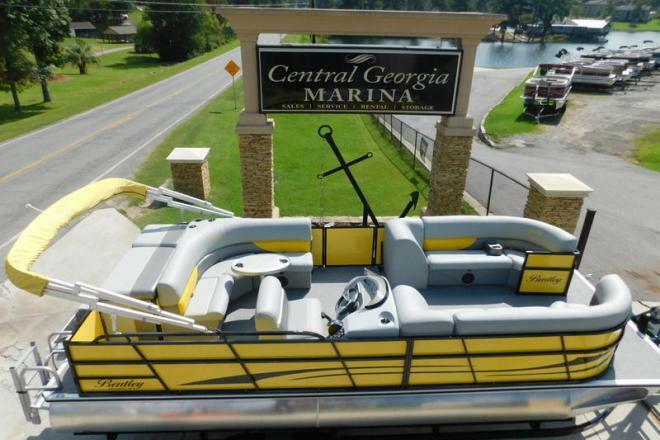 Pontoons use .080" thick aluminum material with high quality welds. 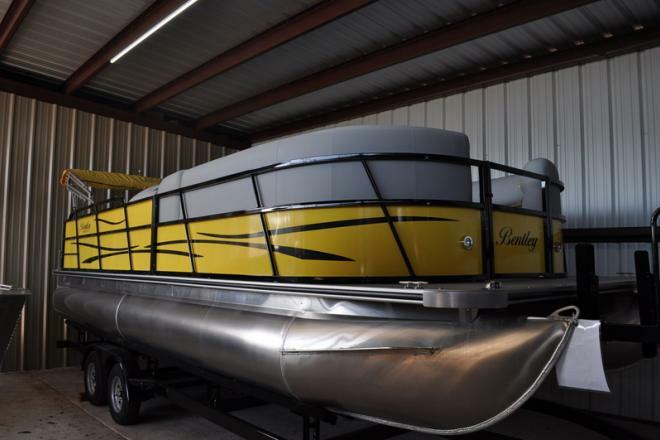 The transom is all welded aluminum that is .190" thick. The trailer is shown but is not included. A tandem axle painted trailer is available for $2295. 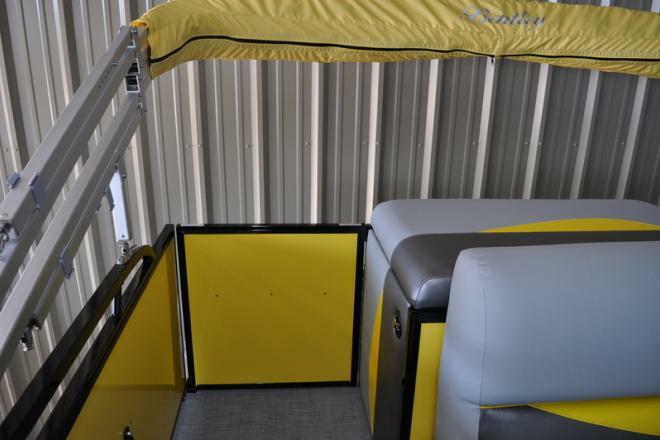 A mooring cover can be purchased for $269 or a snap on cover for $995.